Kate isn't your average merc. She specializes in magical cleanups, and she's good at what she does. When her mentor winds up dead, she personally takes the case, vowing to avenge his murder. The trail leads to a group of necromancers called the Masters of the Dead, but it turns out they've lost several of their numbers as well. When she realizes the local shapeshifter clan has had casualties as well, she begins to think something's fishy. And lucky her, now she's caught in the middle of the two most powerful factions in Atlanta, both expecting her to work a miracle and help them solve their problems. Just another day in the life of a merc. 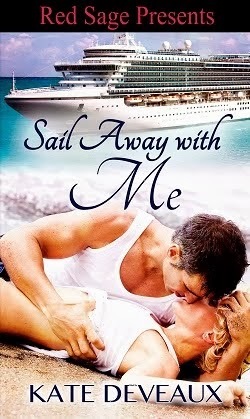 This is book one of the series, and again I'm rereading them so I'm caught up for the new book release. In Kate's world, there are fluctuations between magic and technology that happen every couple days. When magic takes over, electricity and cars don't work, and the monsters come out to play. When tech takes over, wards fail and magic becomes useless. Vampires are no more than mindless bloodthirsty monsters controlled by the Masters of the Dead, necromancers who raise the creatures and pilot them like one would a remote control toy. The shifters are organized into the second largest pack in North America, and are led by the Beast Lord, a shifter who rules with an iron fist (or paw, haha). Kate is a tough as nails merc, whose grasp of magic goes way beyond what it should, making you wonder just what secrets she's hiding. She manages to get herself into all sorts of trouble, but the awesome thing is she can get herself out again. A loner by nature, she slowly starts to realize that being alone may not be the best thing for her after all. There's something about these books that makes me forgo sleep to finish them. Can't put my finger on it, but I'd have to say the characters if you twisted my arm. They're amazing. I know what you mean I love thses books as well, they are definitely my favourite UF series, Kate and Curran are the best characters, they keep me coming back for more and more! If you are interested in Vampires, Witches, and Shape shifters- this most definitely is the book for you. 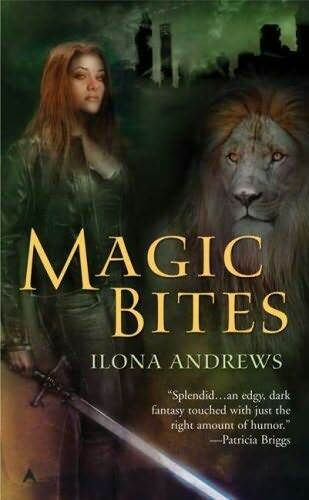 Ilona Andrews style of writing brings you right into the story, while her expressive characters and love triangles leaves you drooling for the second book. Kate Daniels is a wonderfully real woman; is great at wielding a sword but is not overly cocky. Her character knows what she wants, and gets it. Ms. Andrews doesn't over compensate Kate's character with heavy arrogance or nonchalance a lot of writers use for their heroines. Kate Daniels has flaws and you can feel them in the story. The other characters in the story, including the Shape shifters King, are very three dimensional and believable.